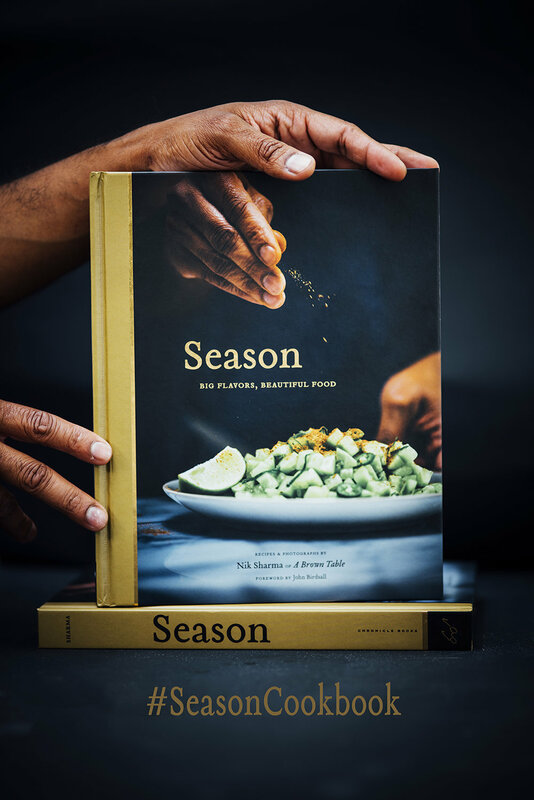 There are few books that offer home cooks a new way to cook and to think about flavor—and fewer that do it with the clarity and warmth of Nik Sharma's Season. Season features 100 of the most delicious and intriguing recipes you've ever tasted, plus 270 of the most beautiful photographs ever seen in a cookbook. Here Nik, beloved curator of the award-winning food blog A Brown Table, shares a treasury of ingredients, techniques, and flavors that combine in a way that's both familiar and completely unexpected. These are recipes that take a journey all the way from India by way of the American South to California. It's a personal journey that opens new vistas in the kitchen, including new methods and integrated by a marvelous use of spices. Even though these are dishes that will take home cooks and their guests by surprise, rest assured there's nothing intimidating here. Season, like Nik, welcomes everyone to the table. Errata found in the first printing of Season. Pg 210 Date and tamarind loaf - "Combine the 3/4 cup [180 ml] olive oil, the 1 cup [240g] tamarind pulp and jaggery in a blender"